Dow futures today forecasted a 90-point increase from yesterday's Dow close. On Tuesday, the Dow Jones rose 98 points on a day of gains and losses for the broader markets. Investors continue to keep a keen eye on the debt debacle in Greece and economic reports that will culminate with Friday's May jobs report. The Stock Market Today: This morning, the ADP National Employment reported the number of jobs created by U.S. private companies in May. The nation added 201,000 jobs, a hair ahead of economist expectations of 200,000 In addition, investors will react to the Commerce Department's monthly report on the trade deficit, released this morning. Economists anticipate that the deficit for April will hit $44 billion, down from the staggering $51.4 billion in March. Auto Sales Surge: U.S. car and light truck sales hit a seasonally adjusted rate of 17.79 million in May, up from 16.5 million in April, according to Autodata. This represents the highest sales rate since July 2005. This morning shares of General Motors Co. (NYSE: GM) were up 0.2%, while shares of Ford Motor Co. (NYSE: F) were down roughly 0.6%. Earnings Reports: Companies reporting earnings this morning include Five Below Inc. (Nasdaq: FIVE), Quanex Building Products Corp. (NYSE: NX), Vera Bradley Inc. (NYSE: VRA), and Verint Systems Inc. (Nasdaq: VRNT). Goldman Speaks: Investment bank Goldman Sachs Group (NYSE: GS) published a research note this week that contrasts activist investor Carl Icahn and others on one of the biggest debates on what companies should do with cash reserves: Whether or not to hike share buybacks. Goldman has told managing directors to use that money for mergers & acquisitions instead, arguing that repurchasing stock at high price-to-earnings multiples doesn't provide as much bang as a new target would. Some could argue, however, that the bank is making this recommendation out of self-interest instead. Oil Prices Today: Oil prices ripped higher, adding 1.8% to settle at their highest level since Dec. 9. And although prices are rising at a time when the dollar is stronger and supply is high, Money Morning Global Energy Strategist Dr. Kent Moors explains that the market has stabilized, creating a situation where upward price pressure is driving the market. WTI crude futures for July slipped 1.8% this morning to hit $60.18 per barrel. Meanwhile, Brent oil was down 1.7% to hit $64.36 per barrel. Pre-Market Movers 1, DAL: Airline stocks were rebounding this morning after multiple bomb threats were reported against domestic aircraft yesterday, pulling down the sector. 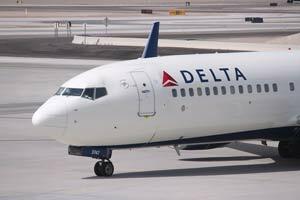 Also, Delta Air Lines Inc. (NYSE: DAL) released a weak outlook for the year. Shares of Delta slipped more than 2.5% yesterday, but the stock is up 0.6% in pre-market trading. The news also rattled rivals like United Continental Holdings Inc. (NYSE: UAL) and American Airlines Group Inc. (Nasdaq: AAL). Pre-Market Movers 2, GES: Shares of Guess? Inc. (NYSE: GES) retreated in premarket hours after a strong 6% surge during yesterday's trading session. On Tuesday, the company reported a surprise fiscal first-quarter profit of $3.3 million, or $0.04 cents per share. Wall Street analysts had expected a per-share loss of $0.05. Pre-Market Movers 3, EFTC: Shares of E-Trade Financial Corp. (Nasdaq: ETFC), were up 0.6% in pre-market trading after the company announced that its CFO Matthew Audette will be leaving the company at the end of July to assume the same position at LPL Financial. E-Trade's Chief Risk Officer Michael Pizzi will take over the CFO role on June 16. Stocks to Watch No. 1, LULU: Shares of Canadian athletic apparel company Lululemon Athletica (Nasdaq: LULU) are in focus today as the company will host its annual general meeting in Vancouver. The company's investors have been very outspoken recently about needs to board reform and changes in corporate governance. Stocks to Watch No. 2, FCX: Shares of mining giant Freeport-McMoRan Inc. (NYSE: FCX) were up more than 5.5% yesterday, reversing Monday's losses. The company will host its annual meeting this week, and will attempt to provide some good news for a struggling mining sector. Stocks to Watch No. 3, PPL: Shares of PPL Corp. (NYSE: PPL) were up more than 1% in premarket hours after the company completed its spinoff of its Talen Energy Corp. (NYSE: TLN), its power-generation business. The stock is down more than 5.5% on the year. Stocks to Watch No. 4, AMZN: Global e-commerce giant Amazon.com Inc. (Nasdaq: AMZN) announced it has started to ship smaller items like cosmetics for free to customers who are not paying $99 per year for a Prime membership. The shipping will require three to four days and will typically cover items priced under $10. Chicago Federal Reserve Bank President Charles Evans speaks at 2:15 p.m.
St Louis Federal Reserve Bank President James Bullard speaks at 4 p.m.